Before beginning installation, please ensure you have removed any other antivirus and firewall products that are on your computer. 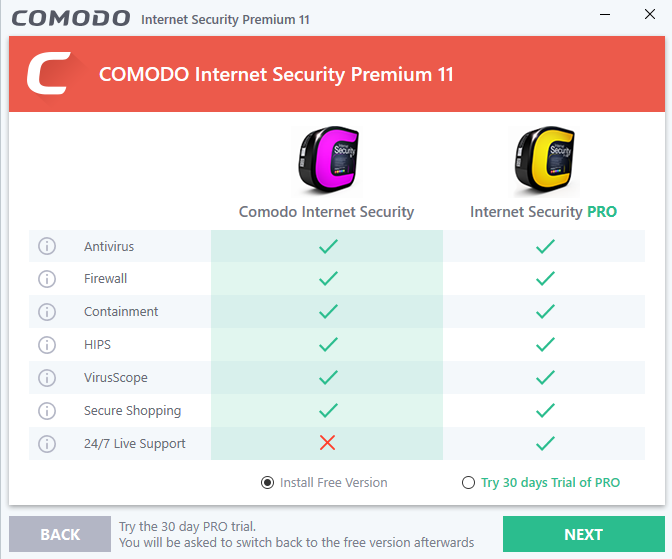 Next, download the setup file from https://www.comodo.com/home/internet-security/free-internet-security.php. After saving, double click on the setup file to start the installation wizard. 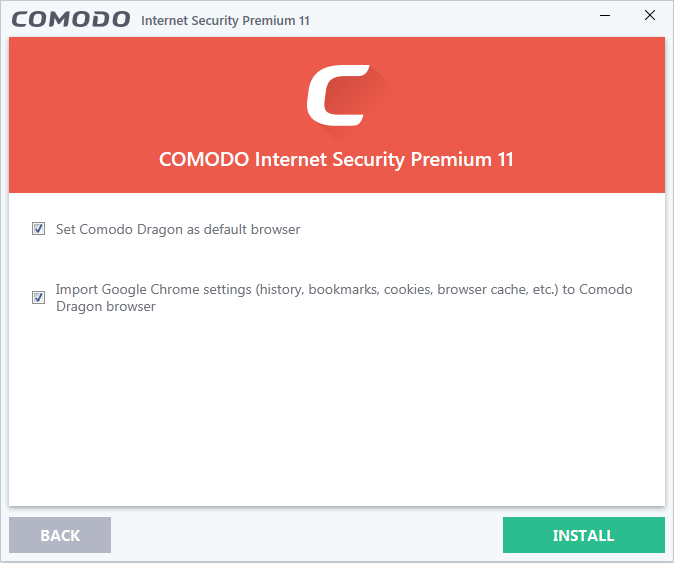 Choose the language in which you want to install Comodo Internet Security from the drop-down at the bottom. 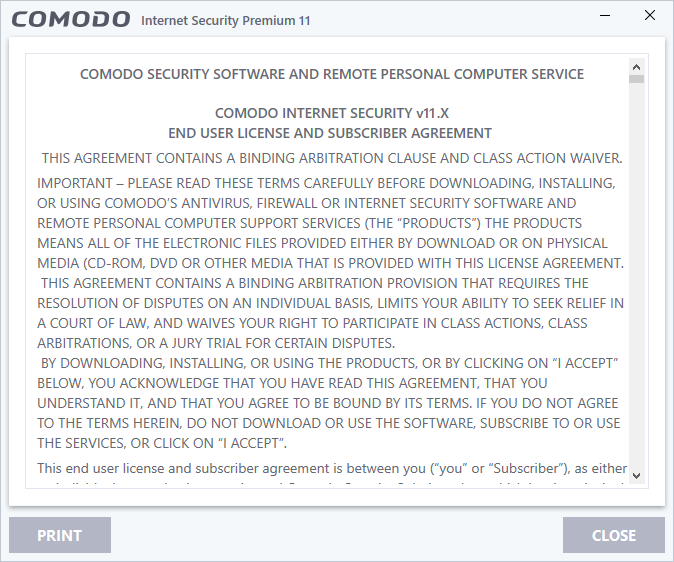 Read the complete User License Agreement by clicking the 'License Agreement' link at the bottom of the interface of Comodo Internet Security before proceeding with the installation. After reading the agreements, click the 'Close' button to return to the installation configuration screen and click 'I agree' to begin installation. A ‘Search with Yahoo’ menu entry will be added to the right-click menu of supported browsers. The instant ‘search suggestions’ that you see when you start typing a search item will be provided by Yahoo. Clear the checkbox if you do not want to set Yahoo! as your home page, new tab and default search engine. Click 'Next' to proceed with installation wizard. The next step allows you to choose to install CIS Pro Trial version. If you want to try CIS Pro, select 'Try 30 days Trial of PRO' and click Next. You can purchase a full license at a later time and activate CIS Pro. See Activating Your License for more details. If you want to continue CIS Premium installation, choose 'Install Free Version' and click 'Next'. 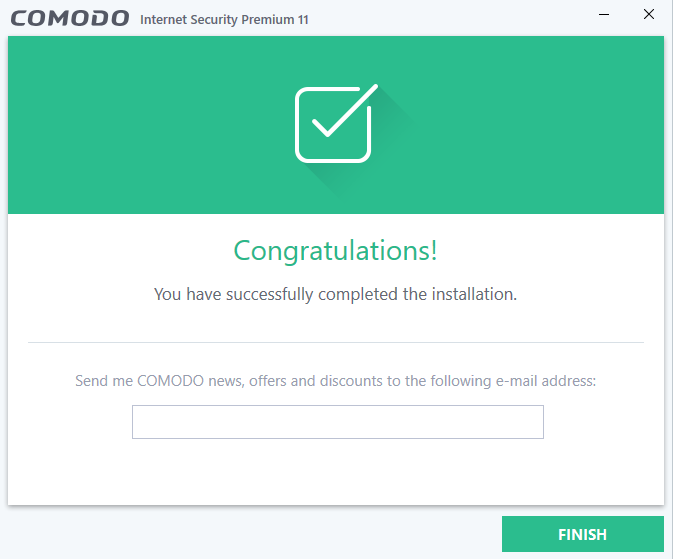 Select the Comodo Internet Security installation folder. The default path is C:Program FilesCOMODOCOMODO Internet Security. Click 'Browse' if you want to install to a different location. Comodo Secure DNS service replaces your existing recursive DNS Servers and resolves your DNS requests through Comodo's proprietary Directory Services Platform. Comodo's worldwide network of redundant DNS servers provide fast and secure internet browsing without any hardware or software installation. 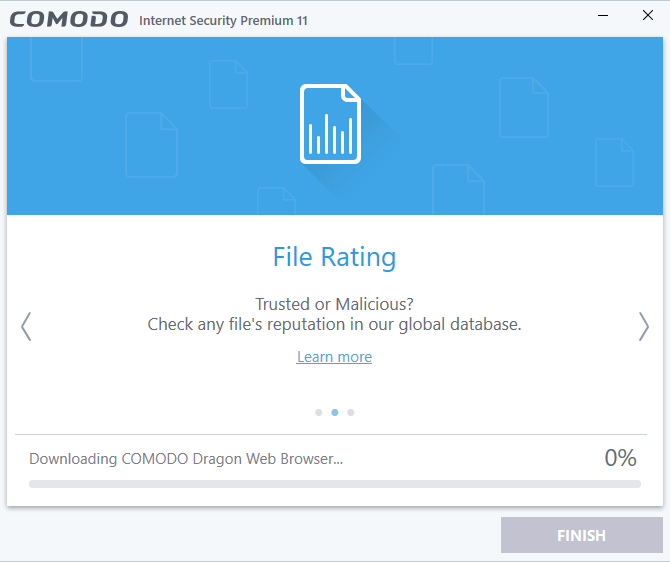 Comodo Secure DNS also protects you by blocking access to malicious sites by any program running on your computer. 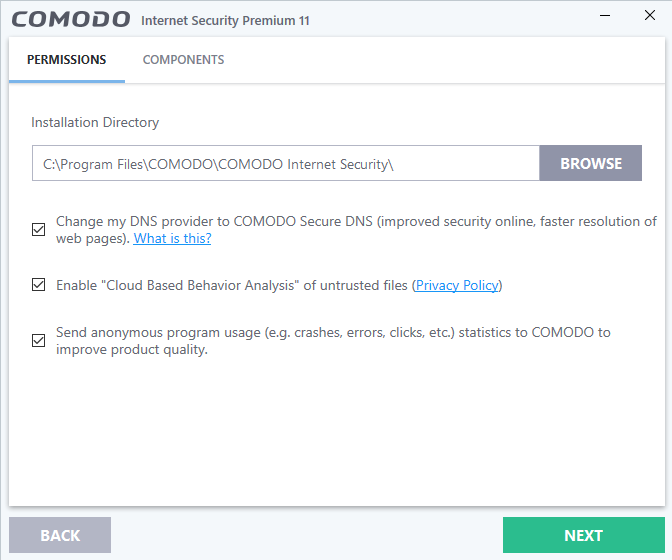 In this step of installation of Comodo Internet Security, the DNS settings of your computer can be changed to direct to our DNS servers. You can disable the service at anytime and revert to your previous settings. See Appendix 2 Comodo Secure DNS Service for more details on how to configure Comodo Secure DNS. 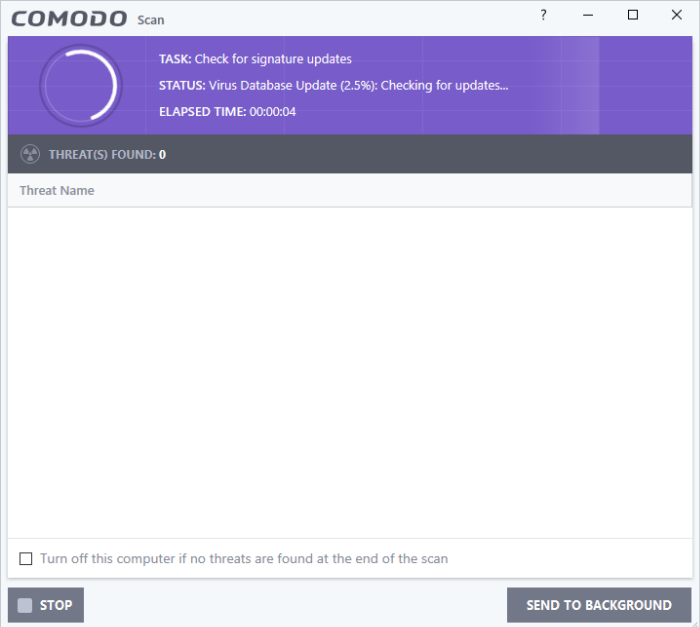 Select ‘Change my DNS provider to COMODO Secure DNS' to enable the service.The 'What is this' link has more information about Comodo Secure DNS. 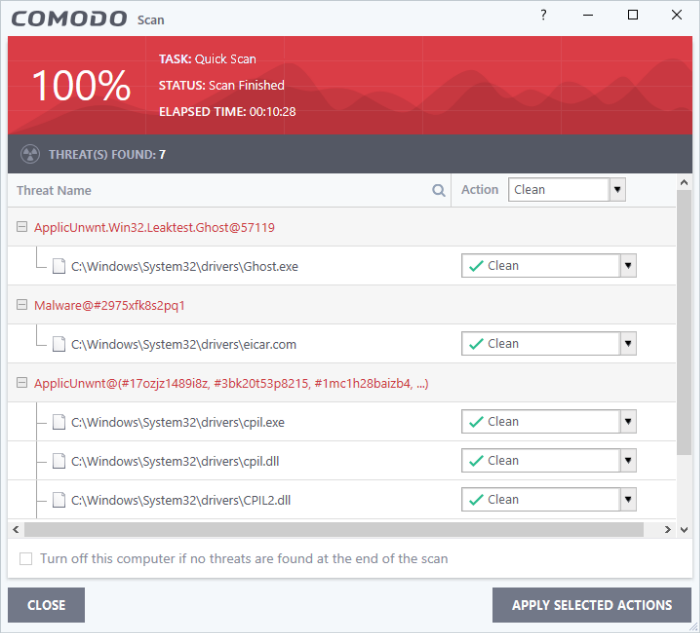 If enabled, any file that is identified as unknown is submitted to the Comodo Instant Malware Analysis (CIMA) server for behavior analysis. Unknown files are subjected to a range of static and dynamic tests to determine whether they behave in a malicious manner. The results will be sent back to your computer in around 15 minutes. Comodo recommends users leave this setting enabled. If enabled, CIS will send anonymous crash and usage data to Comodo. This data is useful to Comodo as it helps us identify the areas of the program which need to be improved. Your privacy is protected because all data is anonymized and sent over a secure and encrypted channel. Disable this option if you do not want to send usage details. You can also change this setting from the Log Settings interface at anytime after installation. 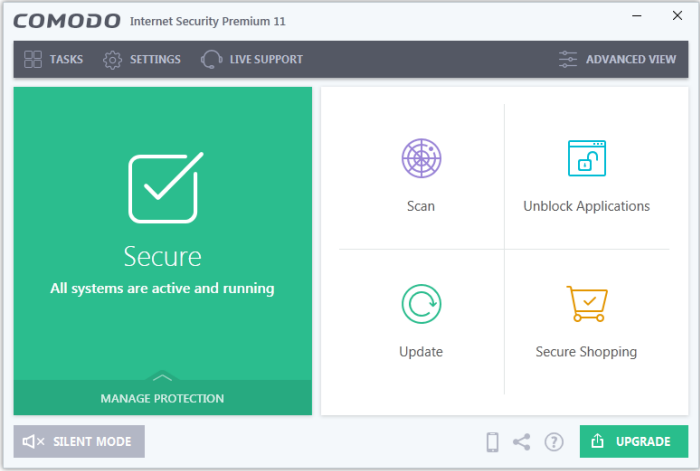 COMODO Antivirus - Installs Comodo Antivirus, HIPS, Containment and VirusScope components. Deselect this option, if you already have a third party virus protection activated in your computer system. 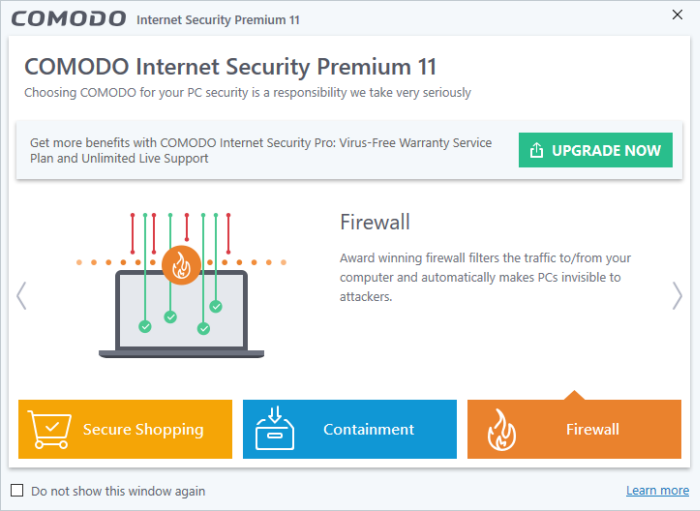 COMODO Firewall - Installs Comodo Firewall, HIPS, Containment and VirusScope components. Deselect this option, if you already have third party Firewall protection activated in your computer system. 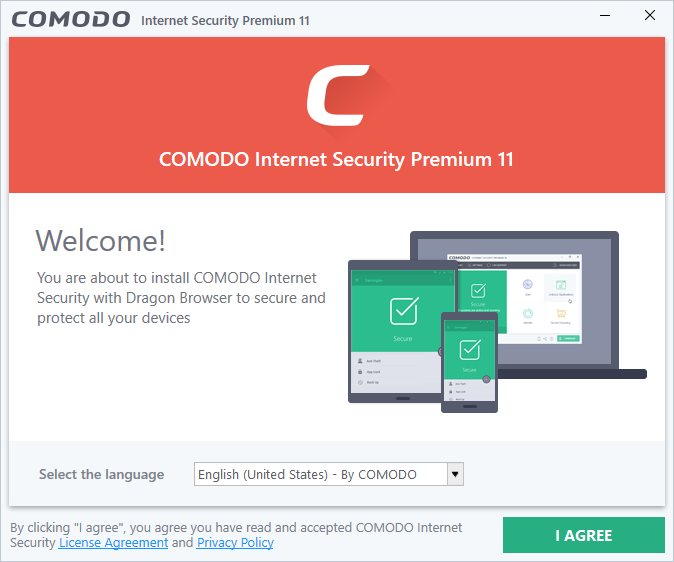 COMODO Dragon Web Browser - Installs Dragon, a fast and versatile internet browser based on Chromium technology and infused with Comodo's unparalleled level of security. Refer to the section Dragon Browser for more details. COMODO Secure Shopping	- Installs Comodo Secure Shopping, a security hardened virtual environment which offers complete protection for online banking and shopping. 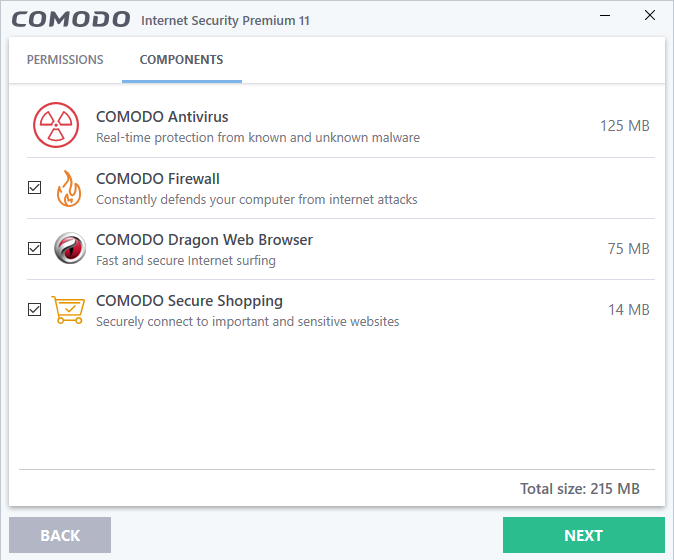 Refer to the section Comodo Secure Shopping	for more details. 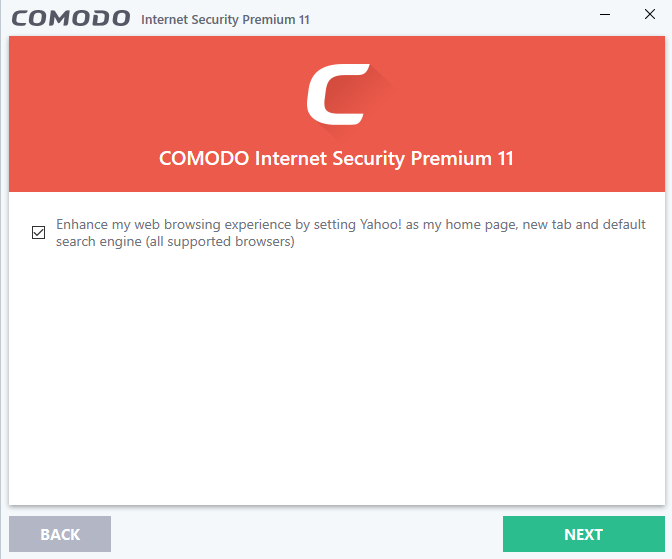 Internet Security Essentials – Installs Comodo Internet Security Essentials (CISE). CISE protects you from internet 'man-in-the-middle' attacks by making sure that the websites you visit use an authentic SSL certificate from a trusted certificate authority. You will be warned if a website uses an untrusted certificate. See Internet Security Essentials for more details. Click 'Next' when you are satisfied with your settings. Click 'Install' after choosing your browser options. Click 'Finish' to finalize the installation process. Once setup is complete, the application runs a virus scan on your computer. The scan covers critical areas of your computer, system memory, autorun entries, hidden services and boot sectors. The virus database will be updated automatically prior to the scan. Click 'Send to Background' to run the task in the background. Background tasks can be viewed in the 'Task Manager' interface. On completion, the scan results screen will appear. The results screen shows the number of objects scanned and the list of identified threats (Viruses, Rootkits, Malware). Select 'Clean' from the drop-down at the top-right and click 'Apply Selected Actions' to remove all threats from your computer. See 'Processing Infected Files' if you need more help. 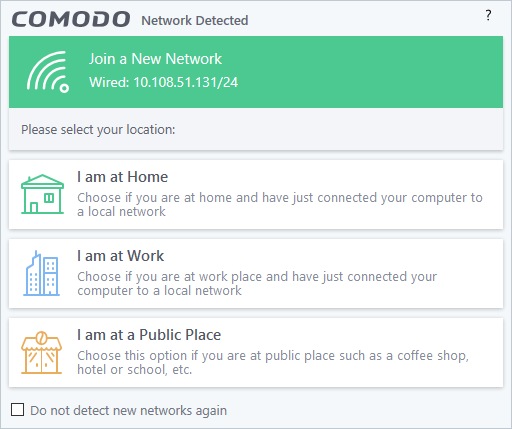 The 'Network Detected' dialog lets you choose your location. The top of the dialog shows whether you are using a wired or wireless connection. Select 'Do not detect new networks again' If you are an experienced user that wishes to manually set-up their own trusted network. This can be done in 'Network Zones' and through the 'Stealth Ports Wizard'. Your computer needs to be restarted in order to complete the installation process. If you want to restart your computer immediately, save all your work and click 'Restart Now'. 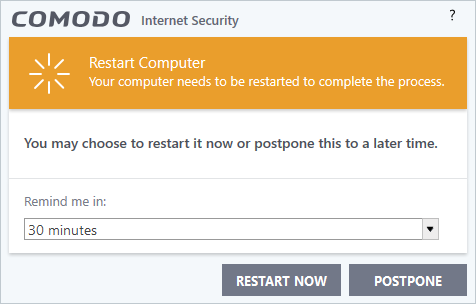 If you want to restart the computer at a later time, select a period from the drop-down and click 'Postpone'. After restarting, a 'Welcome' screen will appear. This contains a summary of the components you installed as well as some friendly advice. You can purchase also a purchase license key from this screen if you have not done so already. This screen will appear every time you start your system. If you do not want the screen to be displayed on every start up, select 'Do not show this window again'.